You may or may not be aware that I run a Manchester UX and Usability Agency called Keepitusable (keepitusable.com). We started the business in late 2010 after lots of people told us we should! So, the business was built very much on our existing reputations as great designers and user researchers. I’m predominantly the lead on anything to do with users, research, psychology, ergonomics. Ricardo has more UX and UI design experience than anyone I know so he leads all our design and prototyping work. Our magic is the unique mix of our skills and experience plus our equal male/female balance that gives us the ability to see things more completely from the audience’s perspective. 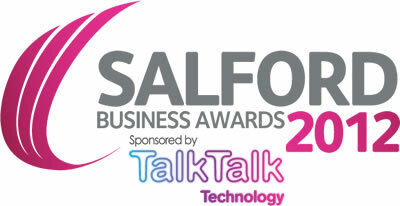 We’re really pleased to have made the final four for 2 Salford business awards; Rising Star and Entrepreneur. It was very competitive and we had to really prove the value of user experience during the interviews. This can be quite tough as any UXer will know! At first it was clear they thought we were developers or graphic designers which is understandable as people always try to make sense of something new by comparing it to what they already know – mental models anyone? Please keep your fingers and toes crossed for us and hopefully we will win at least one of the awards. The finalists are incredibly diverse so it will be interesting to see who wins!